Well, I can't bring myself to blog about the fact that Bethenny Frankel is coming to Stamford, but I can get a little smiley over the fact that we're about to get tango'd. The Buenos Aires based troupe, Tango Fire Company, had huge success in London, New York and all over the world, so obviously their next stop was Stamford CT. 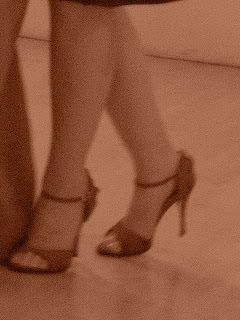 The dance troupe's latest show is called "Tango Inferno - The Fire Within," and they'll be appearing at the Stamford Center for the Arts on February 5th at 8pm. You'll see 10 dancers, including 3 tango world champions, accompanied by live Latin music. There's also a pre-show event at 7:30 where the audience can join the performers on stage (called a milonga). Bring your dancing shoes!